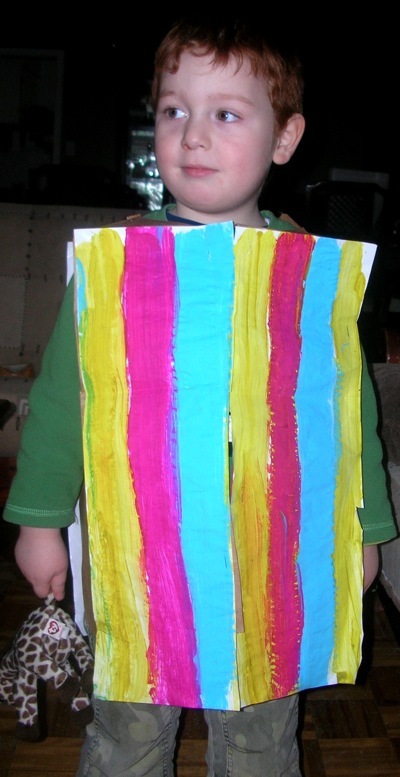 Here are two Bible story activities about Joseph and his multi-colored coat. The first is a large size coat that young children can wear, the second is a tiny coat that you can put on a popsicle stick puppet or a finger puppet. Before you begin, take your time to read the Joseph and His Coat of Many Colors story and review the recommended discussion points. 1. Paint stripes on the bag (Or you can paint on a white paper and later glue it on the bag). 2. 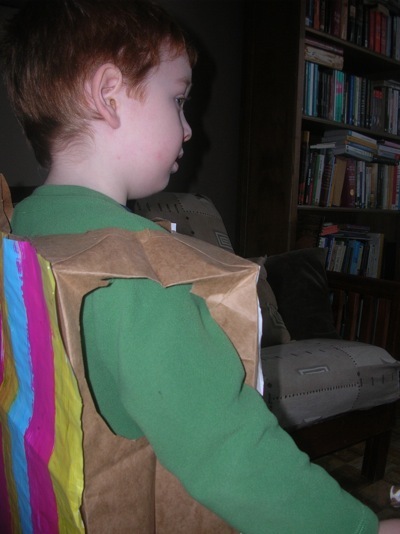 Turn the bag into a coat by cutting a hole on in the bottom of the bag for the child's head. This is actually going to be the top of the bag. 3. Cut two holes on the sides for the arms and a vertical line from the top of the bag to the bottom (like a zipper). For the second activity take a small size piece of white paper. 1. Draw vertical stripes. You can encourage the children to create a pattern if they like. 3. Place the paper on a popsicle stick or a finger puppet.